The good news is, freight volume is up and climbing. The bad news is, freight volume is up and climbing. If you are anticipating growth in your business (which likely translates to growth in shipping needs) and you haven’t already purchased or put your orders in for new tractors, trailers, and trucks you may need, you could find yourself in a very tight spot. One of the biggest issues facing companies and fleet managers is the lack of available new equipment. By Q4 2019 and/or Q1 2020, that market tightness could squeeze the revenue out of your business. 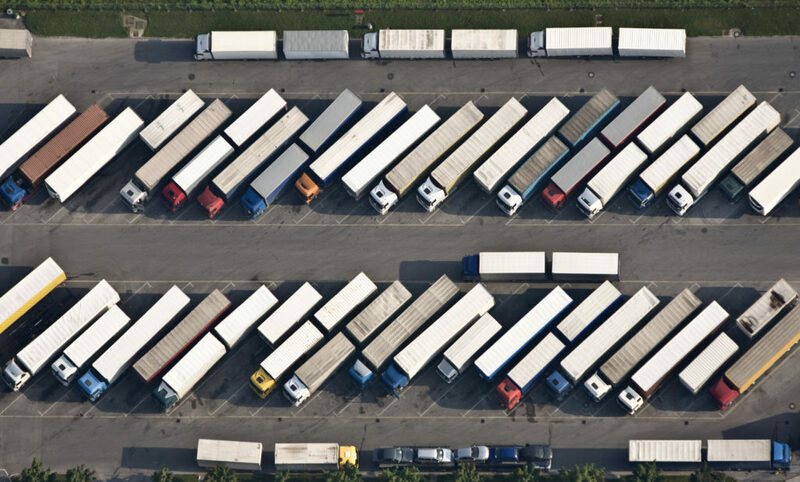 Back in January of this year, the Wall Street Journal published an article, “A Shortage of Trucks Is Forcing Companies to Cut Shipments or Pay Up,” that looked at this issue from the shipper’s viewpoint, especially those looking for capacity on the spot market. But within that article, the author noted that “several factors have converged to overwhelm the trucking market,” including a significant rise in freight volume, more demand for last-mile deliveries, new trucking regulations, and natural disasters. And it’s not just impacting over-the-road deliveries. Whether you’re looking for tractors, trailers, or even box trucks, you’re facing the potential of equipment shortages. With the cost of new truck and trailer manufacturing as high as it is; OEMs don’t want to overproduce assets; so even a 1% to 2% increase in demand can result in too few assets for the fleets that need them. But the problem doesn’t just rest with the OEMs themselves. In a global supply chain, even truck manufacturers can be hampered by a shortage of parts. You may have the ability to produce the engines; but without all the essential and ancillary products necessary, you can’t produce the final product. A carpet manufacturer going down during a typhoon in India can impact truck production at a plant in Detroit. That is simply the state of manufacturing in today’s worldwide business environment. Freight shipments are often not top of mind for those in the C-suite. So, if you are responsible for making sure goods (whether raw materials or finished product) get to their final destination, you first have to convince those in the C-suite of the looming crisis. It’s important to remember that CFOs and other finance executives and managers may not be aware of this problem so you may have to convince them by showing, in dollars and cents, the potential loss in revenue by not being able to ship product. I can’t stress how important it is to not wait for the last minute to make your case. The earlier you plan to replace or add assets, the more you can withstand whatever volatility exists in the market. You need to secure slots with OEMs as early as possible and you need to plan for asset replacement by understanding the total cost of ownership of your assets and how to optimize replacement times. This problem is likely to grow more severe over time, so consider time your enemy. Plan well, plan wisely, and plan now. See how a data-driven approach can help optimize your asset management strategy.